My sincere apologies for not keeping the blog updated. Sadly, I'm undergoing a rather vexing crisis in my personal life. Nothing life-threatening, for those of you that were concerned, but definitely life-changing. Everything should be straightened out in a few days. Long time readers of the blog know that one of my pet peeves is the lack of more mainstream depictions of Cthulhu. 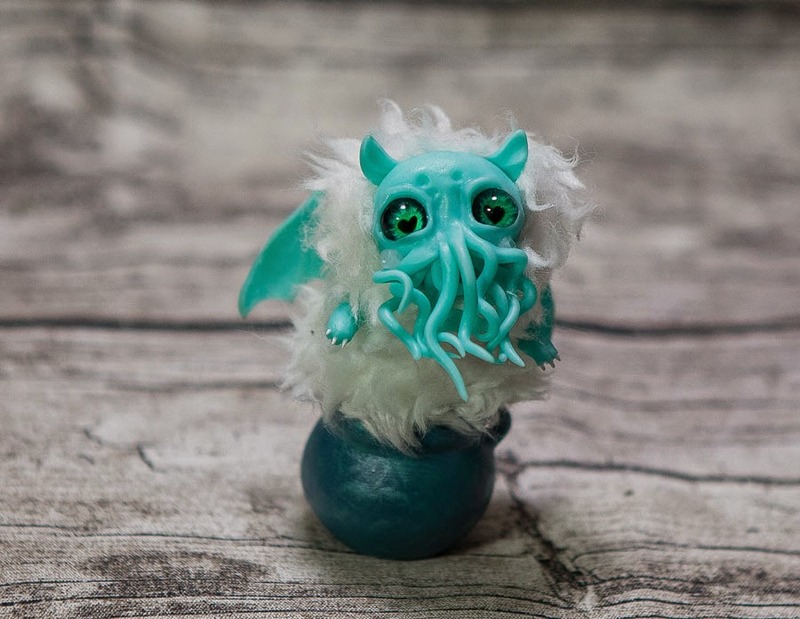 Hordes of artists are creating horrific idols inspired by Lovecraft's works, but there's a notable dearth of more playful items. 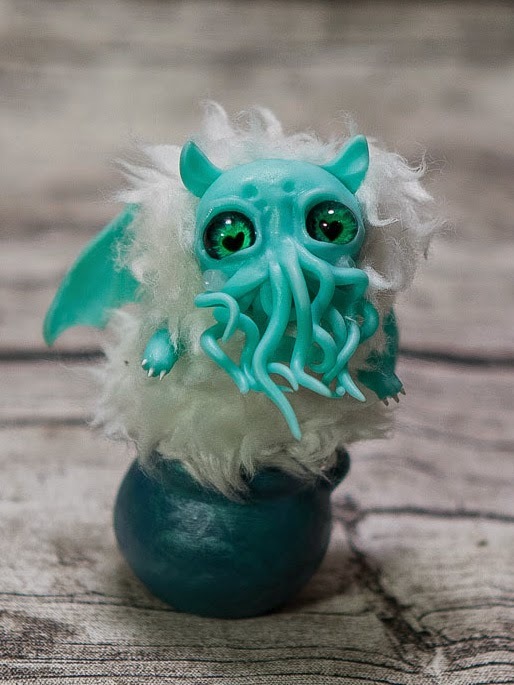 Where are the crocheted Cthulhus, the Cthulhu ski caps, and plush Cthulhus that would open up the Mythos to a whole new audience? Thankfully, things are starting to turn around. Russian artist Marina Dyagileva brings us this delightfully cute take on the Great Old One. Gaze into those love-filled eyes and see the future of the Mythos!